Considered as one of the most dynamic management executives in the country, he began working in 1987 after graduating from the University of the Philippines at the young age of 19. 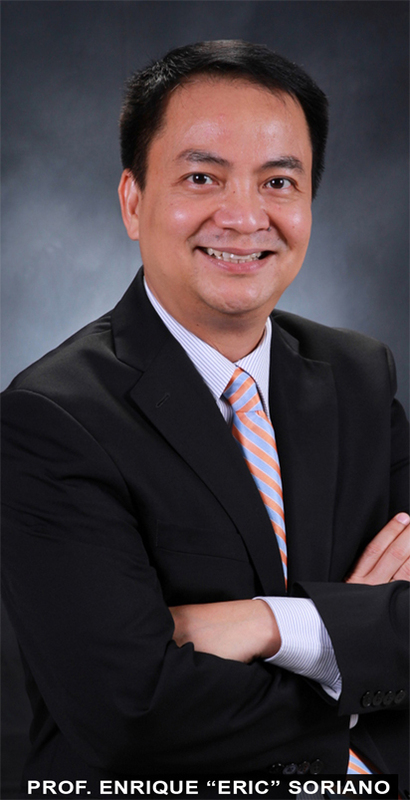 Presently, he finds fulfillment as book author, columnist, Professor and Chair of the Marketing Cluster of the Ateneo Graduate School of Business. He was recently elected as the National President of the Association of Marketing Educators (AME) for 2012-2013. An individual with strong management and leadership skills, his experience in the industry is strikingly remarkable. Enrique or “Eric” to friends is the Founder and President of AA Real Estate (Advisory Asia) and Turnaround Advisor and Family Business Consultant of the Wong & Bernstein Group (W&B), two Philippine based Business Advisory firms whose clients range from Asia’s Top 500 corporations to thecountry’s SMEs. He does active advisory work related to Family Succession and Business Strategy in the US, Singapore, Malaysia, Vietnam and China. He holds a B.A. from the University of the Philippines, an MBA from De La Salle University, completed Executive Education at the National University of Singapore (NUS) Business School and currently pursuing his Doctorate at the University of the Philippines. His last executive engagement was as Group CEO of the Belo Medical Group. Prior to his Belo engagement, he was Chairman of publicly listed SunTrust Developers, founding President of Travellers Hotel International (Resorts World), Country CEO of ERA Philippines as well as holding Board level positions in several companies. Eric writes a weekly business column in a US newspaper and is finishing a book on Family Succession, “Ensuring the Family Business Legacy: Powerful Insights About Leadership and Succession” which is due for release this year.